A long wait over for American Buyers. The new Mercedes-Benz A-Class gives U.S. buyers the same experience that European owners have enjoyed for some time. It may be the era of the SUV, but Mercedes-Benz is betting big on a sedan as it gets ready for the 2019 model year. 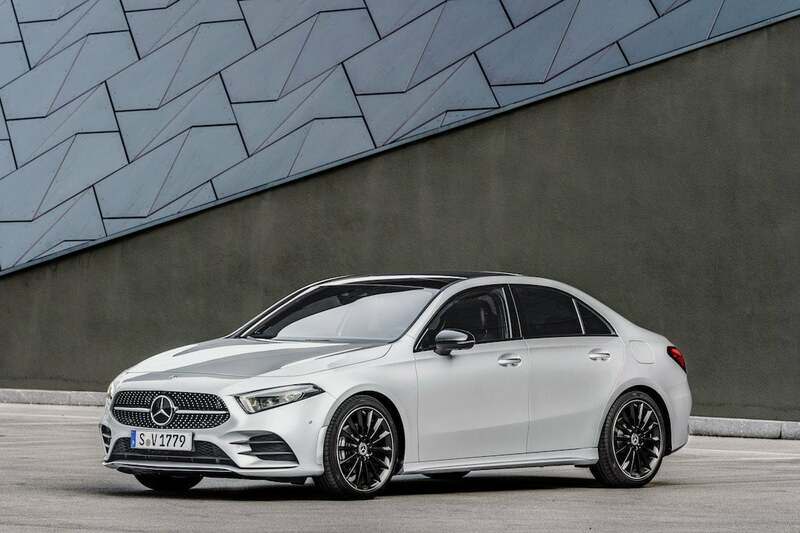 And with the launch of the new A-Class, American motorists will finally be able to buy the entry-level offering that the German luxury marque has been offering in Europe and many other parts of the world for quite some time. 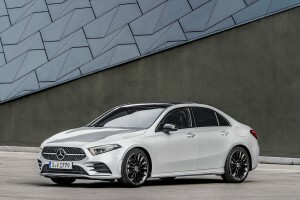 The launch of the 2019 Mercedes-Benz A-Class helps fill one of the few gaps in the brand’s line-up, and marks a subtle shift in direction, Mercedes deciding to use the diminutive sedan to expand its appeal to young buyers who want to stretch their budget and plant its tri-star logo in their driveway. There was a time when Mercedes focused only on the more exclusive side of the luxury market, with products like the E- and S-Class. The German company was racked with internal debate when it set out to develop the original “Baby Benz,” the 1980s-era 190 that ultimately morphed into today’s C-Class. The new A-Class offers a 188-horsepower turbocharged four cylinder engine capable of better than 30 mpg. The new A-Class sedan slots in under the CLA that Mercedes first debuted at the North American International Auto Show in 2013. 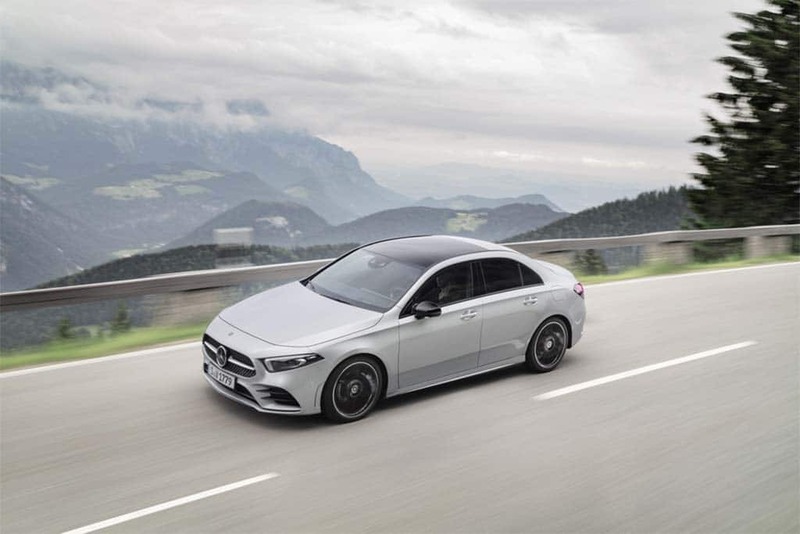 That model clearly demonstrated the potential for an entry-level offering, the CLA bringing in a flood of new customers who were, on average, about 50% younger than those for more traditional Mercedes products. Significantly, the German maker claimed fully half of the CLA’s U.S. buyers were first-time Mercedes owners, the large share moving up from mainstream brands. 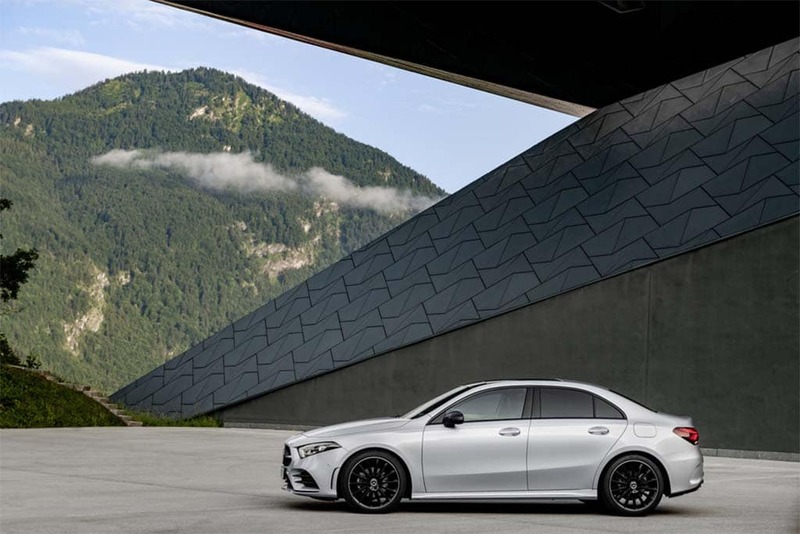 The U.S. version of the new 2019 A-Class opts for a more sedan shape, rather than the Euro-hatchback. Compared to the swoopy, coup-like CLA, it’s a bit more traditional in shape, almost like a downsized S-Class. It’s also about three inches shorter, overall, though its 107.4-inch wheelbase is 1.1 inches longer, with significantly shorter overhangs. The A-Class also stands about 0.3 inches taller, with both roughly 70 inches wide. The fourth-generation A-Class is model this virtually the same in the U.S. as it is in Europe. The overall look is low and long – the A-Class actually so wind-slick that it has a 0.22 coefficient of drag, or less than the vaunted Tesla Model S. Even so, the ample hood that gives it a more muscular appearance than the engine specs might suggest – its turbocharged 2.0-liter inline-four making 188 horsepower and 221 pound-feet of torque. That’s nonetheless powerful enough to push it to a 130 mph top speed while yielding mileage Mercedes estimates will top 30 mpg on the highway. Both front- and all-wheel-drive versions will be available. Buyers can opt for a traditional Mercedes grille or the more elegant diamond design, both anchored by a large version of the Mercedes tri-star. The grille is framed by standard LED running lights and headlamps. The A-Class becomes the maker’s first model to adopt the potentially groundbreaking new MBUX infotainment technology. What may really impress potential buyers, however, is what they’ll find inside the 2019 A-Class. Unlike the short-lived C-Coupe of years past, or even the CLA, the automaker was determined to deliver a true Mercedes experience, which means a well-appointed and executed cabin that rivals the more expensive C-Class. Of course, if you’re aiming for young buyers, you need to be thinking high-tech. And the A-Class will come loaded with an array of advanced driver assistance and other safety gear borrowed from more expensive Mercedes models, such as forward collision warning with automatic emergency braking and both pedestrian and bicycle detection. There’s also such niceties as a head-up display system, wireless phone charging, heated and ventilated seats and an ambient interior lighting system that can take on any of 64 different colors. The A-Class, surprisingly, also becomes the maker’s first model to adopt the potentially groundbreaking new MBUX infotainment technology, a significant update to the familiar COMAND system. A sort of automotive take on the Amazon Echo, you say, “Hey Mercedes,” instead of “Alexa,” to get it to do any of a number of things. You can even say just three words to get it to find a wide range of potential destinations. Motorists interested in the system will likely opt for the larger version of the infotainment screen. Either way, it will allow for use of both Apple CarPlay and Android Auto. Look for the A-Class sedan to roll into U.S. showrooms late this year. Pricing has not been set yet but it will provide an entry base for young buyers that should come in at somewhere in the low $30,000 range, observers anticipate. This entry was posted on Thursday, July 26th, 2018 at and is filed under Automakers, Automobiles, Business, Luxury Vehicles, Markets, Mercedes, Sales, Sales, Trends, U.S./North America. You can follow any responses to this entry through the RSS 2.0 feed. Both comments and pings are currently closed.